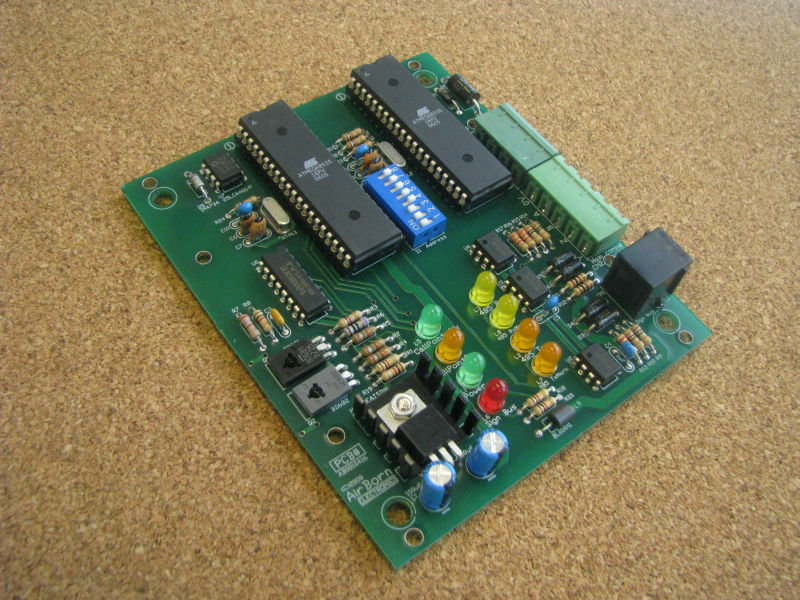 Re-engineering, as opposed to standard new design work, involves designing a circuit board as a replacement for an existing board. The PCB replacement may be required to repair equipment, or because the PCBs are no longer supplied, or because the original design files have been lost. Older PCBs can sometimes be quite difficult to re-engineer. Design and manufacturing methods have changed significantly over the years. In years gone by electronics was much more expensive, and so it was common for manufacturers to select components for best performance, or trim boards by altering capacitor or resistor values to get the best operation. Both those techniques are now rarely used, and if a discrepency was not picked up early there may be an opportunity for failure. Some older designs were very, very carefully done, to get the maximum cost effectiveness from each part. Unless identical parts can be found, it can be quite complicated for a engineer to tease apart the operation of such a circuit and reproduce it with modern parts. As an example, the author worked many years ago on a circuit board that contained just six transistors. It took 3 iterations of re-engineered circuit board to replace it. I no longer have that circuit to show as an example, but I can show an example of a similar circuit that we designed. In the 12V 1A UPS demonstrated here there are also only 6 transistors - however the circuit is doing quite a bit for the small number of parts, including current limited float charging, switch over to battery on power failure, low battery shut off, and temperature compensation of the float voltage. This sort of circuitry was more common a few years ago - an older, outwardly simple circuit, can sometimes be quite hard to functionally document and then reproduce. Re-engineering is useful in industries where the cost of replacing the equipment is much higher than the cost of changing the circuit board. Mining, heavy vehicles, Medical, industrial equipment, Specialist electronics, monitoring and control gear - but definitely not consumer electronics or computer equipment. The price of a re-engineered circuit board will be higher than the cost of the original PCB - if only because it is made in smaller volume. However, with repair-replacements it is usually the case that the original equipment manufacture (OEM) charges what the market will bear, so a re-engineered alternative may be a lot more cost effective. A Re-engineered circuit board is intended as a replacement for the original and will usually be made to fit mechanically in the same position. 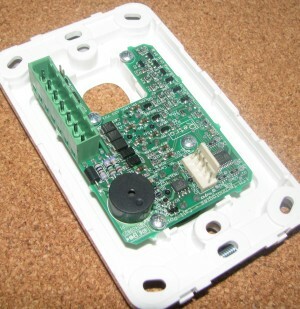 PCBs are usually mounted by four (or more) mounting screws with standoffs, and will normally have a few parts that need mechanical alignment - for instance switches, indicators, connectors or other parts that penetrate through the wall of the enclosure, or are aligned with labelling on the outside of the product. A Re-engineered PCB may also be made to be reasonably similar to the original, to make it easier for install and repair. If a board is often adjusted or repaired, the labelling of components may be preserved - so that for instance IC1 is still IC1, and any adjustments are in the same basic position on the circuit board. If there are connectors on the obsolete PCB then the new PCB will stay Pin-for-Pin compatible, so that it can be easily plugged into the same devices. When the original CAD files are no longer available, re-engineering is often required just to keep producing the board, or just to make a small change. Normally the goal in replacing lost artwork is to make the new PCB as identical as possible to the original. The original board probably went through a process of approval with authorities and customers - the closer the replacement is to the original, the smoother the reapproval process will be. A circuit board cannot really be re-engineered mechanically. It is possible to mechanically remove all the parts and then image the circuit board - but the result would be below-average artwork, and the potential for mistakes is high. The normal way to re-engineer a PCB is to pull it apart, study it, determine how it works, and then put it back together again as a new design. Part of that process may involve stipping parts off the board to get a look at the tracks running underneath components, although it is more likely the engineer will buzz out the connections and only investigate where there seems to be an incongruity. The minimum requirement for re-engineering is one working circuit board, and probably a second circuit board that possibly could be non-functional or damaged. Most of the work would be done with the operating circuit board, and anything that involved removing components, or checking tracks beneath components, would use the second board. Reliable re-engineering requires re-CADing the original circuit diagram, understanding the original circuit, producing a new PCB layout, prototyping the replacement board and then comparing the resulting prototype with the original board. A lot of the basic work of the original design has to be performed a second time. There are not many short cuts with re-engineering - although it helps a great deal if the original circuit diagram is available, and the original Bill-Of-Materials (parts list). Re-engineering a product does give the opportunity to address any flaws. Especially when the product is being re-engineered for repair, there may be some components that are failing that can be protected or replaced with more robust alternatives. Once the product has been re-engineered you are basically at the start of the design cycle again with a product that has hopefully had obsolete components replaced, and with design staff that are up-to-date with the project - changes should be straight forward, and the product should have a useful extension of production life. AirBorn Electronics has a tool that allows us to image the original circuit board and overlay the new CAD artwork on the scan. This makes duplication more straight forward, and provides our customers with a degree of assurance that the replacement matches the original - because we can show them the replacement artwork pattern on top of the orignal. If a board contains a single chip microprocessor with security bits enabled, reproducing the board becomes that much harder. 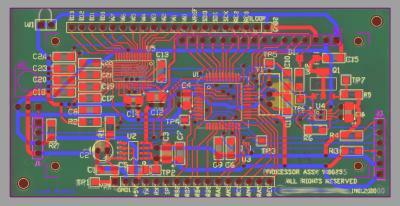 If the original PCB was well designed, often the microprocessor is not faulty. If you are designing as a repair-replacement, the project may still be workable - the client may be able to utilize microprocessors from the boards that are being replaced. Otherwise, the functionality inside the existing microprocessor needs to be recreated. This will add significantly to the size of the project - in standard design work, the microprocessor coding often accounts for more than half the value of the project, it is no different with reengineering.